The National Institutes of Health has awarded one of 12 Clinical and Translational Science Awards for 2007 to a team based at the University Medical Center. These awards, together with 12 CTSAs awarded in 2006, form the core of an NIH effort to build a national consortium of select centers that will “transform how clinical and translational research is conducted,” ultimately enabling researchers to provide new and better treatments more efficiently and quickly to patients. This award provides $22.6 million over nearly five years. It will bring together basic scientists from the biological, physical, behavioral and social sciences, physician-scientists from the medical school, and faculty from the schools of public policy, social service administration and business. And it will put all those researchers in close contact with the residents of the South Side of Chicago. The University was selected for its expertise in translational research and its eagerness to cross boundaries. The University has a long history of extensive collaborations among faculty from different disciplines, strong and productive relationships with institutional partners such as Argonne National Laboratory and the Illinois Institute of TechnologyÑalso partners in this projectÑand robust and expanding community engagement. 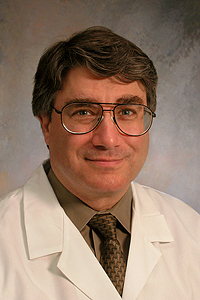 “The ambitious, ultimate goals of this program are to train scientists and health care providers at the University and in our community to determine the molecular underpinnings of disease or disease predisposition in any individual patient,” said Julian Solway, the Walter L. Palmer Distinguished Service Professor in Medicine and Pediatrics and principal investigator for this project. One objective of the CTSA program is to eliminate barriers: between academic disciplines, between laboratory and clinical research, and between scientists, doctors and patients. To reach that objective, the program will bring residents of the many diverse neighborhoods surrounding the University into the research process. The 1.1 million residents of the South Side of Chicago form a diverse but, in many cases, chronically underserved population. The community has high rates of hypertension, diabetes, asthma and other complex diseases. Through partnerships between the University and its Medical Center, other health care providers on the South SideÑincluding Access Community Health Network and Advocate HealthcareÑthe CTSA will attempt to overcome these health disparities by improving access to medical care and raising the standards of care for all those on the South Side. For this purpose, the University created the Institute for Translational Medicine. Under Solway’s direction, the institute will operate across academic departments to generate new methods, tools and systems of discovery. The Medical Center also is preparing to launch a multi-faceted Urban Health Initiative, which will engage the community in developing clinical and community research agendas, involve community organizations in that research, accelerate the translation of health knowledge and expertise into and out of the community, and strive to reduce health disparities.